Here's a big day in the life of our new church. 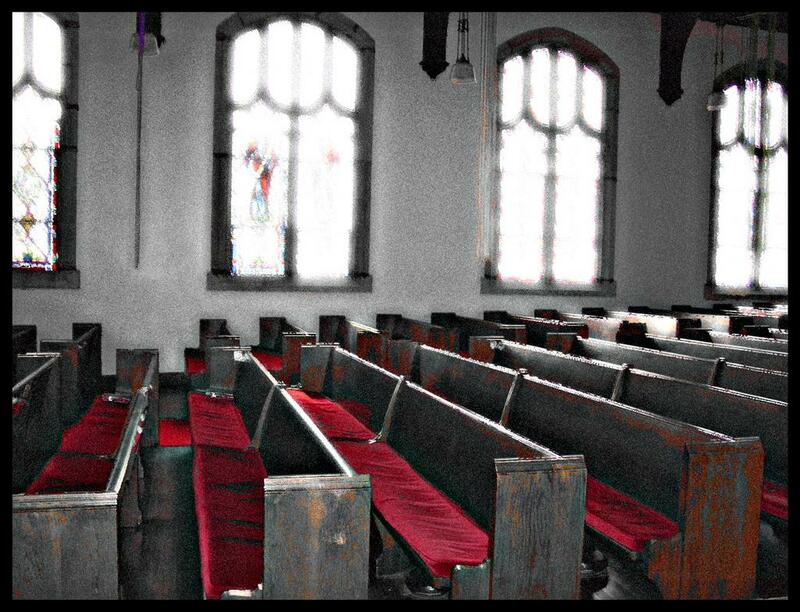 Tonight at 7:30, Aaron and I will meet with the board of the Walnut Hills Christian Church to see if they'll let us use their facilities for our Sunday services. When we first started we thought this would be a rubber stamp, but now realize it might not happen. We fell in love with this building at first sight. It's absolutely gorgeous. The stained glass windows are breathtaking. 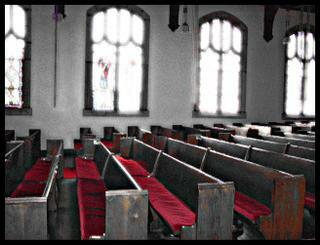 Above is a picture of the oak pews. The sanctuary has a certain ambiance that allows you to focus on the reverence of God in a not-so-reverent world. It would be perfect for what we want to accomplish in that neighborhood. That's why we want it so bad. The problem is that we have different theological beliefs than the Walnut Hills church. Those differences might keep them from letting us use the building. I thought about maybe stretching the truth and eloquently, ever so gently, stating our theology to not make it offensive, but what's the point? Our focus of this new church is teaching the Word of God without reservations. Eventually we'd say something offensive to them that would set them off. Better to just get it all over with, put all the cards out on the table, and start the potential relationship in total honesty. Surprisingly, this is the most relaxed I've ever felt about such a big meeting. Regardless of what happens, I'll be fine with the outcome. If they go ahead and let us use the building, praise God. If not, He's not failed us so far so we'll just let Him show us an even better place in which to meet. I'll let you know how things turn out tomorrow. Newer PostCan you hear it?